Sleepy Hollow, New York — October 22, 2018 –Fall is always a busy season in Sleepy Hollow, New York, the village known as the inspiration for Washington Irving’s famous Legend of Sleepy Hollow. This fall, however, is especially memorable, as several milestones have been reached at Edge-on-Hudson, the transit-oriented, mixed-use development transforming the former General Motors site along the Hudson River in Sleepy Hollow. 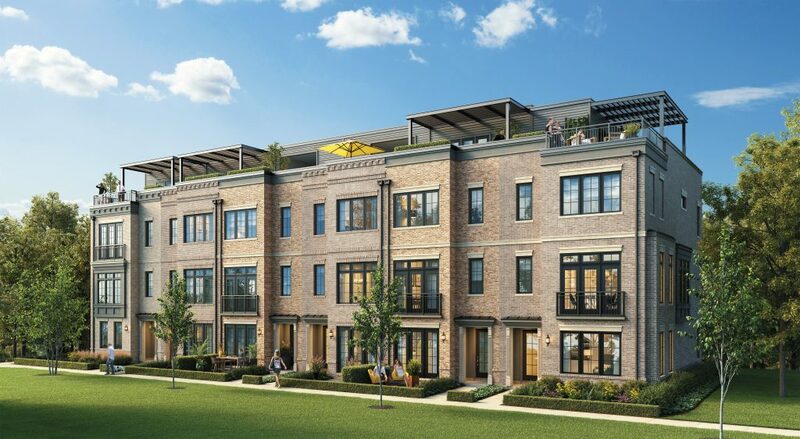 Home construction is underway, as Toll Brothers (NYSE: TOL) has started work on their Brownstones collection of luxury townhomes. In addition, home sales are set to commence, with the on-site sales gallery scheduled to open in the coming weeks. At the same time, the master developers of the project, a joint venture of California-based SunCal and New Jersey-based Diversified Realty Advisors, have begun infrastructure work on Phase 2 of the ambitious $1 billion development, set to establish a regional destination and gateway to the Hudson Valley. Edge-on-Hudson is expected to serve as a catalyst for economic development in Westchester’s Rivertowns and the Hudson Valley Region. The mixed-use development will be a destination in its own right, serving as a focal point for regional tourism, and providing a vital link for waterfront access. Edge-on-Hudson is the largest undeveloped tract of land along the Hudson River in proximity to New York City and is set within walking distance of two nearby Metro-North railroad stations with direct access to Grand Central Terminal in Manhattan. When the final landscaped promenade is completed at Edge-on-Hudson, it is anticipated that biking and walking trail connections will be available to the shared use path of the new Mario M. Cuomo (Tappan Zee) Bridge. Diversified Realty Advisors, an affiliate of PCD Capital, LLC, is a full-service real estate company with core strengths in residential and commercial development and construction. PCD’s fully integrated team is involved in all real estate services, including those related to acquisitions, architectural and engineering design, construction, entitlements, leasing, sales and management. PCD’s existing portfolio and acquisition/development pipeline includes the operation and development of over 6,000 residential units and 750,000 square feet of commercial space across within the tri-state area. Visit www.diversifiedra.com for more information about PCD’s developments.